New flooring is an excellent way to refresh an entire room. Scraping up old linoleum is time consuming and messy, but the good news is that you can lay new linoleum right on top of the old flooring. Make sure you have enough clearance under any doors that will open into the room that is being re-floored, because the new linoleum and glue will add a little height to the floor. Empty the room of all furniture and appliances. 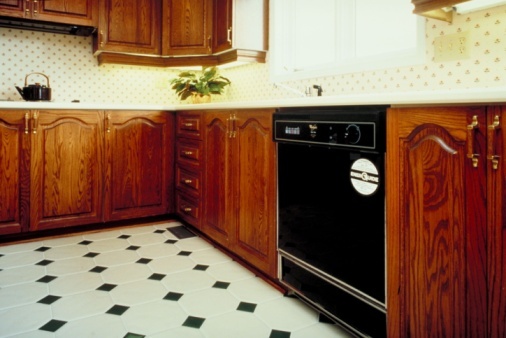 Scuff up the surface of the old flooring so that the new linoleum will adhere properly. Very old linoleum may contain asbestos, so it's best to wet-sand it. Use waterproof sandpaper and wet the sanded area down frequently with a spray bottle of water. Use a self-leveling floor patch compound to fill in very worn spots, tears or holes. This is applied with a trowel and is similar to wood filler, but much sturdier. It can be found at any home improvement store. Lay the tiles from the center of the room outward. Find the center by laying a string or chalk mark across the width of the room at the center of the long wall. Lay another one across the length of the room from the center of the wide wall. 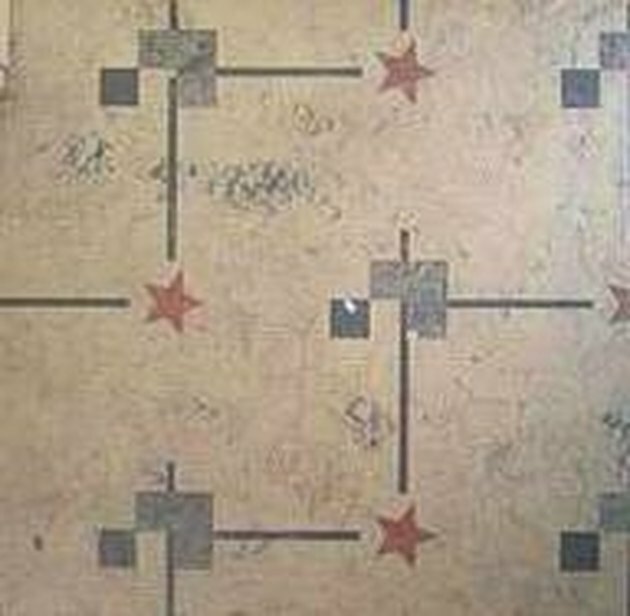 They will cross at the center of the floor. Cut rolled linoleum to fit the floor. Measure at least three times before you cut. Leave an extra inch all the way around the linoleum, so that you can be sure you won't end up with a floor that's too small. 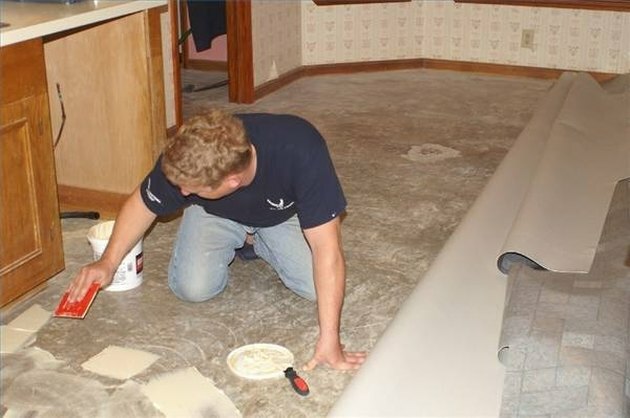 Lay out the tiles or rolled linoleum completely before using adhesive. Apply adhesive in small sections, making sure that you are keeping the tiles or rolls straight. Press bubbles out of roll linoleum with a 100-lb. 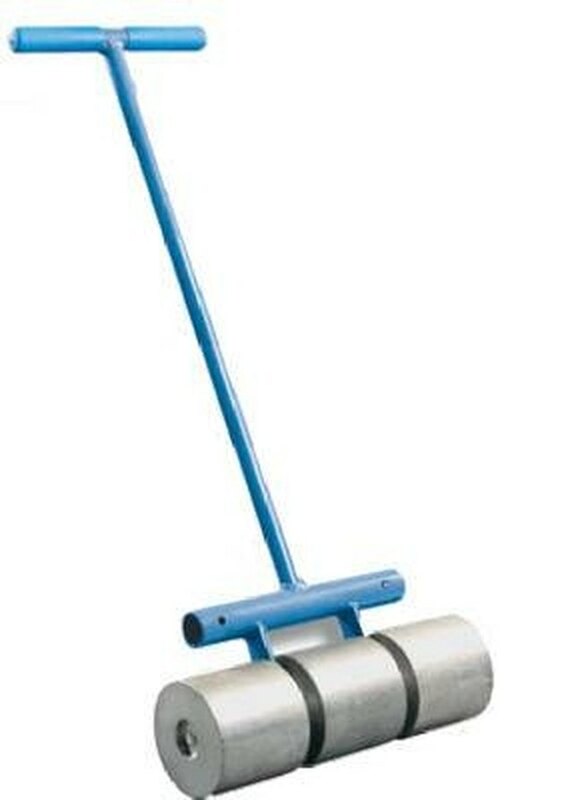 linoleum roller. These can be rented at most home improvement stores. 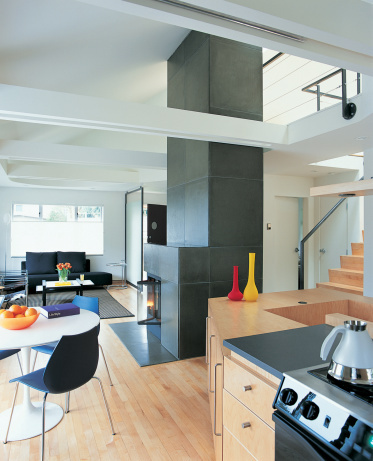 Let the floor rest for eight hours before you replace the furniture and appliances. What Would Cause a Linoleum Floor to Bubble?